After 3 months doing volunteer work and travelling overland through Africa, Alex and I were thrilled to finally get some time alone at the end of the tour when we planned on hiring a car and driving up the Garden Route. Having been on a set itinerary for the overland tour it was a huge relief to just have free time to be able to go where we wanted, when we wanted (well, as much as my plan-aholic self would allow!). 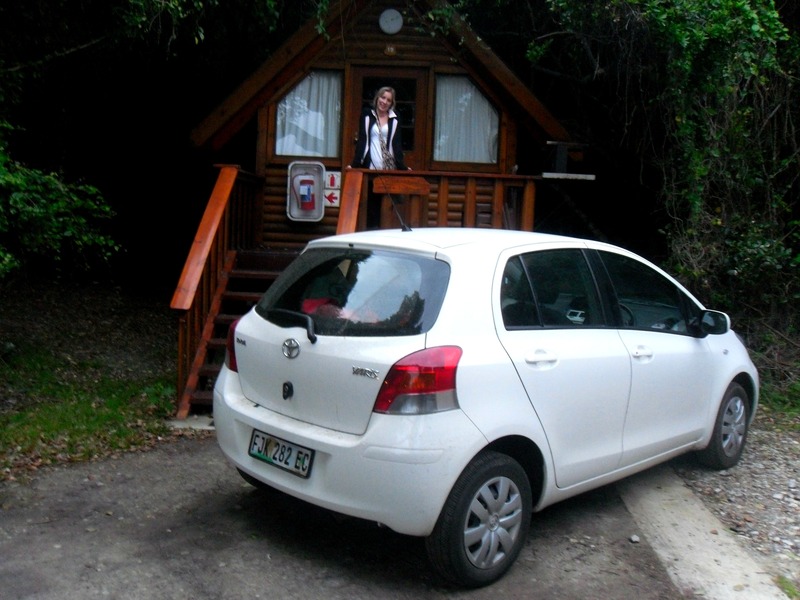 From Cape Town, we drove our cute little Toyota Yaris out of the big scary city and into the quieter country roads. I say we, but I really mean Alex, because there’s no way I was getting behind the wheel in a different country! My job was purely to direct and to research our next destination (when I wasn’t falling asleep in the passenger seat) and the partnership worked pretty well. We had no set plan in mind and just headed to the next place that looked appealing on our map and we came across some wonderful little towns. Our first stop outside of the city had to be Cape Point, a place that most people mistake for being the most southern point of Africa (we visited this bit later on though). The winding roads round the mountains along the edge of the ocean were breathtaking and the first day of our road trip was already a perfect one. 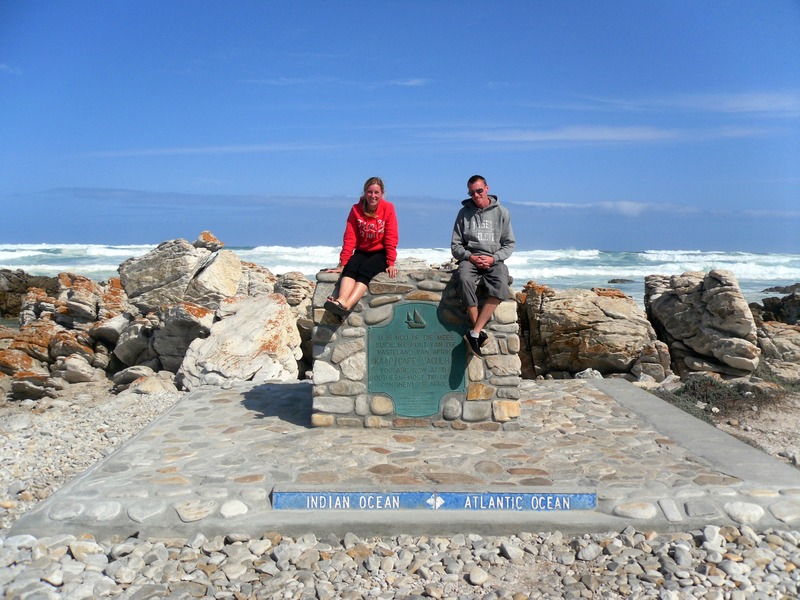 We then headed on to say hello to the penguins at Boulders Beach and then Cape Agulhas, the actual most southern point of Africa where the Indian Ocean meets the Atlantic Ocean; it felt more like the most southern tip of the entire world. We then carried on through even more winding roads that took us up into the mountains. With no other cars or people in sight and mountains in all directions, it felt like we were in a different world, just the two of us. 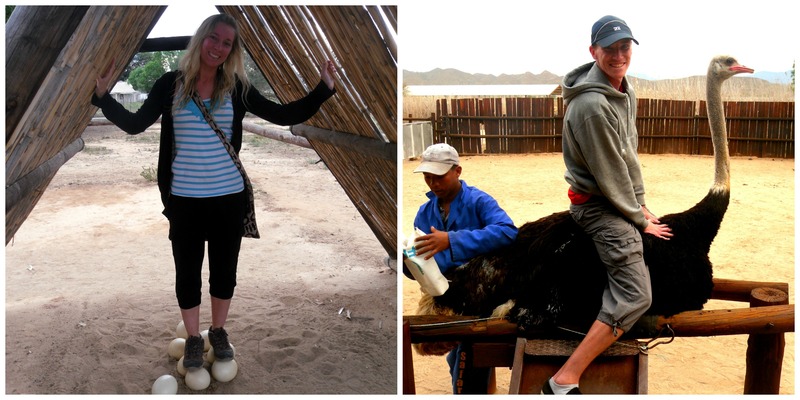 A stop at the Cango Caves and an ostrich farm, where I stood on an ostrich egg (an unfertilised one – I’m not that mean!) to show how hard the shell is, as well as attempting to sit on the back of an ostrich and watch some ostrich races, made for a fun day. We had a brief stop off at a bird park where we spotted Zazu from the Lion King who had obviously flown all the way down to South Africa as he got fed up of Simba bossing him around. Then, after driving over Bloukrans Bridge, we stopped to watch some crazy crazy people doing the highest bridge bungee jump in the world. Storms River was one of the highlights where we drove into the national park and got cosy in our cute little wooden cabin that backed onto the trees and overlooked the ocean. 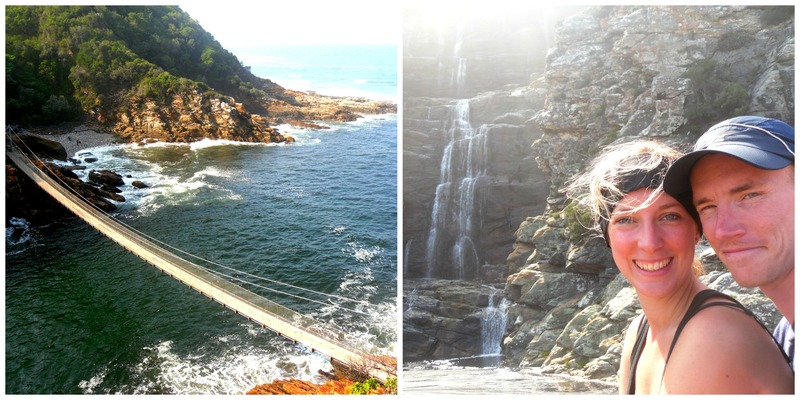 During the day we took a walk across a long wobbly draw bridge to other side of the water and went on a mini hike through the national park until we came upon a lovely hidden waterfall just on the ocean front. We watched the waves splashing high on the rocks at sunset and had a lovely dinner with a bottle of wine and played cards into the night. 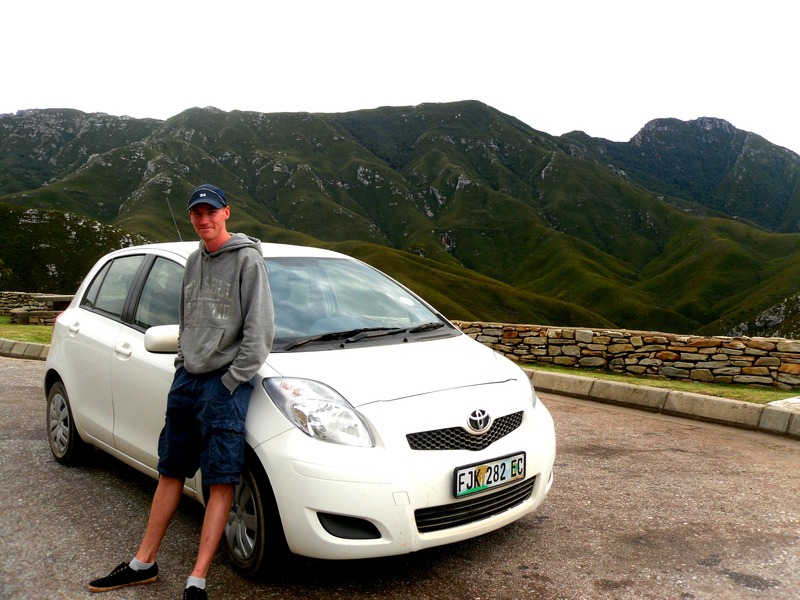 When we arrived in Port Elizabeth for our flight onto elsewhere in South Africa, we were so sad that our road trip had come to an end and even more upset to give our little car back to its rightful owners at Hertz. It was our first road trip and a brilliant one at that. Out of 4 months in Africa, our trip down the beautiful Garden Route is one of both of our favourite memories and a time that I’ll never forget. Sounds like a good adventure! The scenery is amazing. What a wonderful trip! Love the scenery…. I’d love to go to Africa someday. 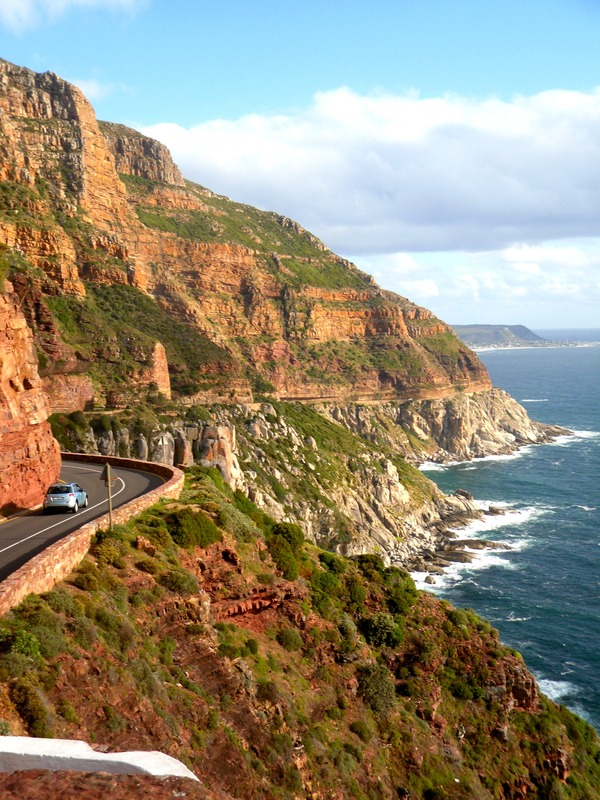 Looks fantastic – I am desperate to get out to South Africa so may have to make it the big trip next year, though with the wine routes and safaris too it might be a long one! Yes Lucy do it!! 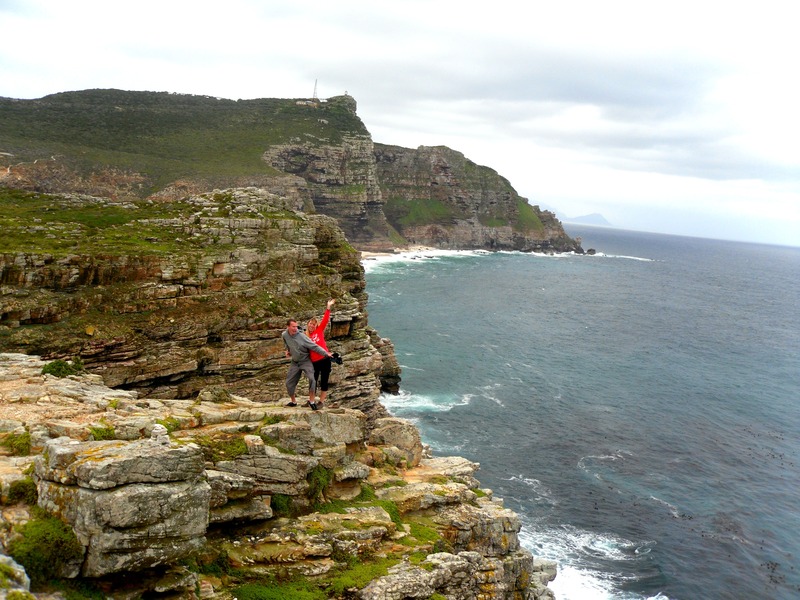 There is so much to do in South Africa, the country is so huge and diverse. 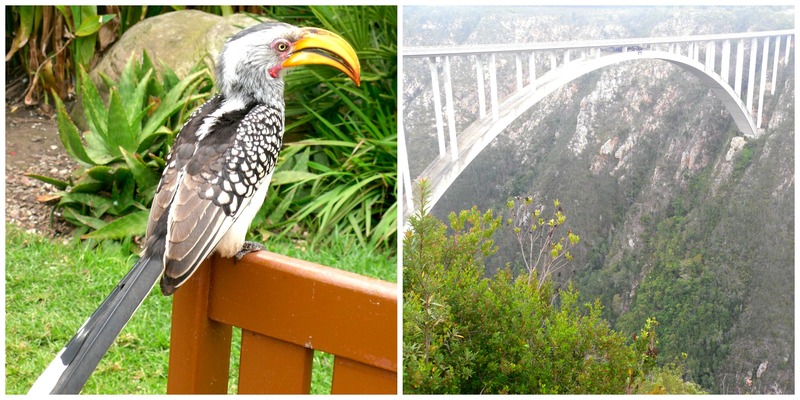 The Garden Route, winelands, and safaris are all must dos! What a great read! Thanks so much for sharing your story. We’ve posted it on our Facebook page . I hope you don’t mind- we just wanted all our fans to read it too. 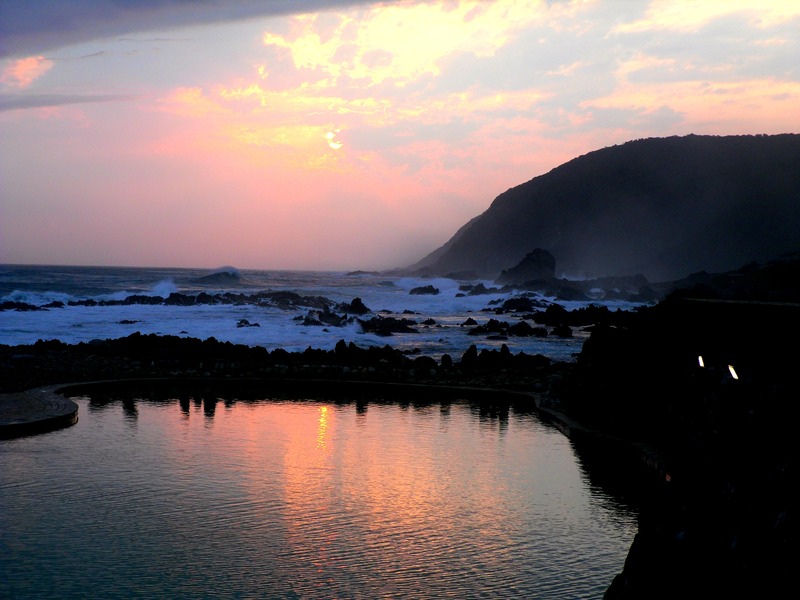 We just love this part of South Africa so much!